The freedom to drift from city to city and work in the comfortable surroundings of a café, library, or airport, is one of the true privileges of the 21st century digital marketing professional. Interesting company, a productive ambience, good coffee, and a sense of community – however transient – are all delightful bonuses. A decent indie café usually looks much better, or at least more unique, than the average office, too. Of course, it’s not always perfect. Those dreadful reggae covers of noughties pop hits are only moderately less torturous than hearing the Ed Sheeran album on rotation, or hearing this year’s Despacito five times every hour. But you know, that’s not every café. And it’s not without its risks. You might drop mayonnaise on your keyboard. You might get stuck listening to a local bore’s fisherman tales. Worst of all, you might get targeted by hackers. Unfortunately, public Wi-Fi connections are not always safe. In fact, a quarter of all Wi-Fi hotspots don’t use any encryption at all. Hackers just love to get between your laptop and a vulnerable public Wi-Fi hub. They also set up their own innocent-looking networks that needy nomads connect to without thinking twice – leaving them wide open to data theft. Indeed, your phone might be connecting to all sorts of networks as you walk around the city without even taking it out of your pocket. Let’s take a look at what you can do to protect yourself. The first step, of course, is to prepare yourself – maintain a vigilant attitude, figure out in advance the places where you might find reliable Wi-Fi, and you leave yourself far less likely to get targeted. But you should also prepare your devices. Leaving them on defaults or on settings that you activated for some passing reason a long a time ago is not good practice. Switch off Bluetooth if you can. Okay, so Apple have made this very difficult for us by totally divorcing the physical connections of our mice, headphones, and other peripherals from our laptops and iPhones, but just do what you can. Bluetooth is another path hackers can use to access your devices. Switch off file-sharing, too. Come on, who uses it outside of the office? Even if it comes in handy at home, you probably don’t need it in a public café, where anybody else on the same Wi-Fi network might be able to access your files. And only use auto-connectivity in emergencies. It’s very rare that you need it as any more than a convenience on your laptop. On your phone it can be useful as you tour an unfamiliar town, but it’s rarely essential unless you have no ‘roaming’ and you’re lost, desperate to catch a signal, or waiting for an important message. Yes, hackers set up temporary Wi-Fi hubs, particularly in tourist areas, including airports, just waiting to latch on to unsuspecting wanderers and gain access to their data and apps. Don’t use a strange network unless you can verify its source. In an airport, for example, try to find a café or bar that has its own Wi-Fi service. If you have to find the password for it, pay a fee, or just buy a coffee, all the better. Sometimes it’s worth that investment. In a way, it’s a good sign if the provider makes you check a box with Terms and Conditions – it at least suggests they’re legit. However, it is worth glancing over them before you check that box as some providers may be quite openly farming your data in a way that makes you uncomfortable. 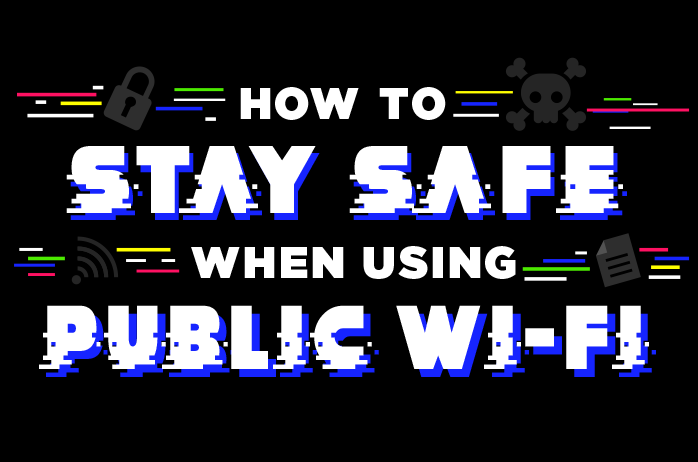 Never go ahead with any software, app, or browser extension installs that a public Wi-Fi provider asks you to do, however reliable they may seem. If you work in the digital realm, it’s reasonably likely you have VPN software installed in your laptop. It’s just the switched-on thing to do for consumers who know their way around the virtual world; and it likely has professional uses for you too. But do you always bother to switch it on when you’re out and about? Sometimes it’s just one click too many. That should change. VPN doesn’t just alter your virtual location, it encrypts your data and uses other technical solutions to protect against hacking and digital surveillance. Even if you use it on your laptop as standard, there’s a good chance you haven’t installed a VPN on your phone or tablet. Well, go ahead and do it. Paid VPN software usually allows use across multiple devices, even if it’s only three or five in total. For a few dollars a month, you could save yourself thousands if you are targeted by cyber-criminals. For those of us who spend 12 hours or more each day in front of a computer screen, common sense can seem like something for the common individual but not the digital pro who really knows what’s what. It’s very easy to become lazy, complacent, or just plain stressed, and neglect to take the very basic steps required for our digital security. Stop using that same password for every site. It’s great that you figured out a password you can type with your little finger while holding a full cup of coffee directly over your keyboard. But if it gets out, hackers can use it for access to all of your accounts (including those you use for your clients). In fact, don’t just use random, highly-secure passwords for each account (with a password manager if necessary) use two-factor authentication wherever you can. And you’re going to hate this, but: back up your data. Do it daily, if possible. Your laptop’s contents are more precious than the average consumer, so make it part of your routine. Use software or Apple’s Time Machine to automate it. Don’t put it off. Nearly a billion people are affected by cybercrime every year – why should you be immune? It’s a lot to think about, even if you are a digital know-it-all. So the good people at Budget Direct have made this new visual checklist to help you keep your affairs in order. Because when you’re nomadding from café to café, you just want to concentrate on working and blocking out Despacito, right?